The Capitol has very little ability to detect smoke from a fire, and no ability to remove the smoke or suppress a fire. There are several obstacles to efficiently evacuating the building. The building does not meet many requirements of the Americans with Disabilities Act (ADA). Mechanical, electrical, and plumbing systems are failing. Elevators are undersized and need to be replaced. The stone exterior and Dome are in need of repair. The Capitol has very little smoke detection, and no smoke evacuation or fire suppression systems. Fire and smoke could spread quickly throughout the building, because there are no reliable smoke and fire partitions to separate one space from the other. Modeling indicates individuals would have less than five minutes to get out of the building safely. This is compounded by egress problems that make it difficult to evacuate the building efficiently. The exterior fire escapes can be slippery in the winter, making quick evacuation difficult and dangerous. The existing elevator locations narrow the corridors outside the Chambers and public galleries, impeding ADA access and making it difficult to evacuate crowds. Exit signs are not installed throughout the building and no emergency power source is provided for the emergency lighting systems. There are tripping hazards in the Chamber galleries with ramps and stairs throughout these areas. Many parts of the building and the site are not ADA-compliant. The Capitol building systems are an ad hoc collection of mechanical, electrical, and plumbing equipment that are all past their expected life, lack sufficient capacity, and in many cases are now hazardous. The existing heating, ventilation and air-conditioning (HVAC) system is comprised of equipment and distribution systems that have exceeded their useful life. Many parts for the antiquated HVAC system are no longer available and have to be made in-house.The existing systems have frequent failures that damage building fabric. A random collection of supplemental solutions have been added over time to address isolated problems. 25-percent of the Capitol has no heating and cooling capability. There is no HVAC system in the attic and Dome, leading to condensation and degradation of building fabric in this area. The existing elevators need to be replaced and are not large enough to fit an ambulance gurney. Since the Capitol was vacated, the east elevator is no longer operable. The entire electrical system is obsolete, considered hazardous, and in need of replacement. 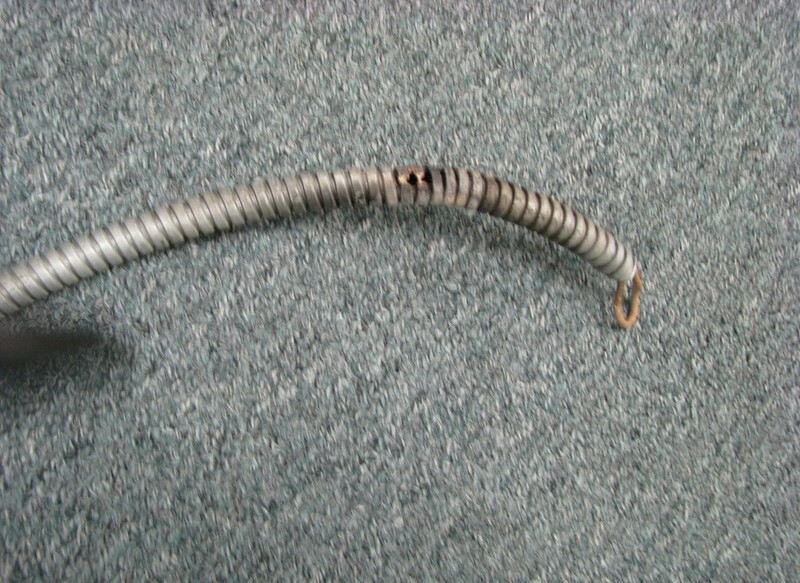 Wiring inside of conduit is old and brittle, insulation on the wires has deteriorated significantly, and the wiring does not meet current codes. The existing system is overburdened and struggles to keep pace with current technological demands. The Capitol does not have modern information technology systems, including robust audio/visual capabilities. The building’s plumbing and steam systems are badly corroded. 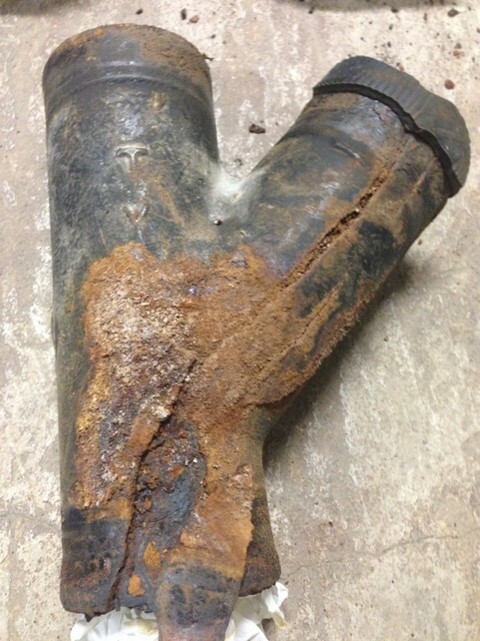 Water and sewer pipes suffer frequent leaks causing substantial damage. The Capitol was not designed to accommodate the current level of public use. The number of public restrooms is insufficient for the public visiting the Capitol. Restrooms have been installed on an ad hoc basis and associated plumbing distribution systems are not properly organized, resulting in a troublesome network of piping that makes maintenance, repairs, and system improvements difficult. There are an inadequate number of fixtures to meet current code requirements. The public must travel long distances through the building to find public restrooms, because most floors lack public restrooms. ADA accessibility for the existing restrooms is inadequate. The Capitol totals about 130,000 gross square feet (GSF) including the garden level, first through third floors, attic and dome levels and will have about 50,000 square feet of useable square footage after infrastructure systems are replaced. Over time, the Capitol has not been able to meet all of the demands for public and occupant space. The Capitol was originally designed to house the executive, legislative, and judicial branches of government. Through the years, the Supreme Court and executive branch agencies have relocated to other buildings. The original Capitol designs did not provide sufficient space for legislative committee activity. 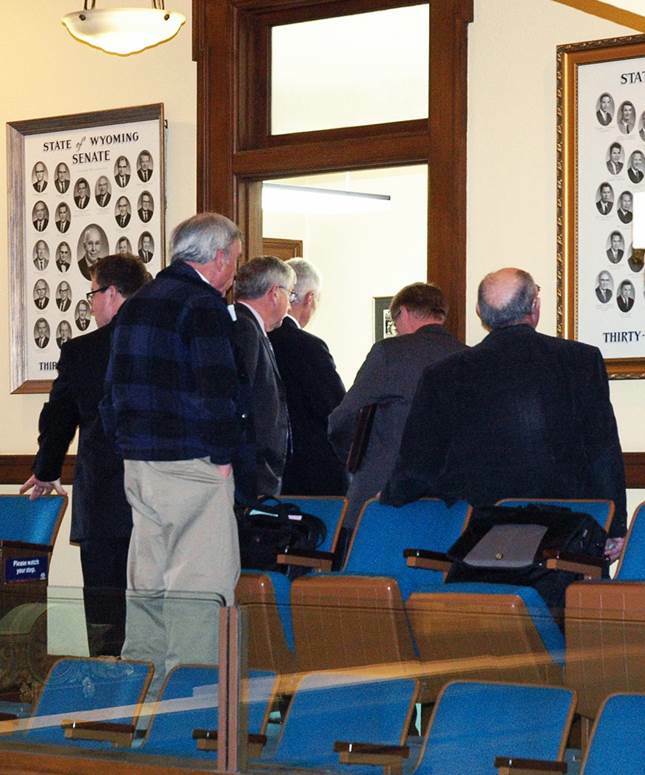 Today, much of the Legislature’s work occurs in committee meetings, but small rooms limit public participation. Most legislative committee rooms in the Capitol are housed in historic office locations and range in size from about 300 square feet to 425 square feet. Most of these public meeting rooms can accommodate less than 20 members of the public and the rooms are so crowded that it is difficult to enter and exit meetings. Office space is fragmented, oversized, and undersized throughout the Capitol, resulting in significant inefficiencies in space utilization. The Governor’s Office staff is fragmented, with 18 policy staff located in the Herschler Building. These staff need to interact frequently with other members of the Governor’s staff located in the Capitol. The Treasurer’s Office staff is fragmented, with a portion of the staff located in the Hansen Building, a few blocks from the Capitol. The Superintendent of Public Instruction and Department of Education staff are located in a different building than the other elected officials and their staff. 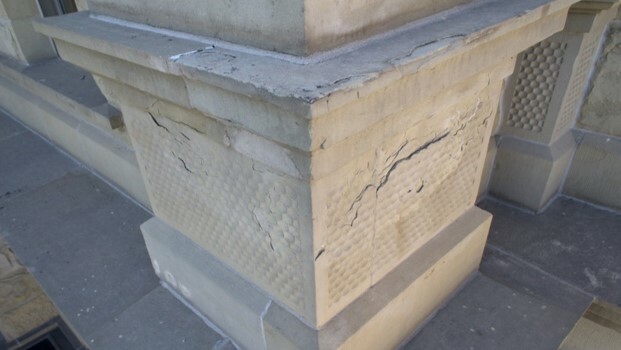 The exterior of the building has indications of strain and deterioration, especially in the Capitol Dome and the sandstone masonry. The Dome appears to be generating cracks at the Rotunda, which allows water to enter and cause damage. There are coating failures over large portions of the exterior of the Dome. 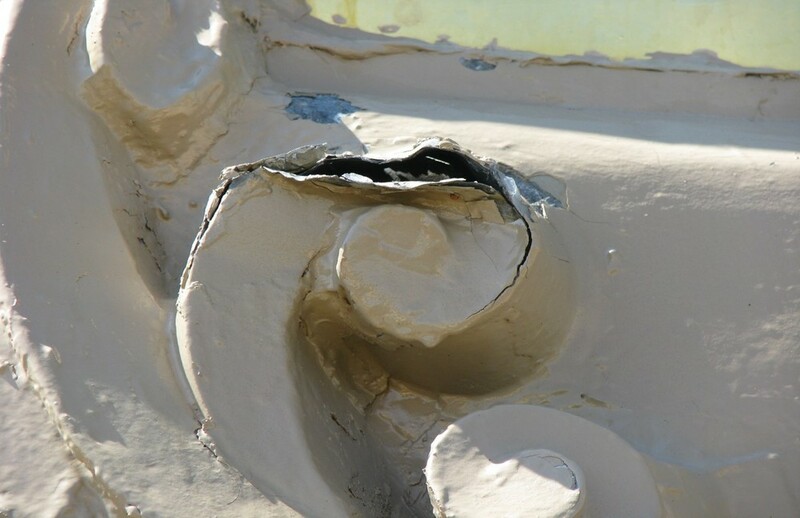 There are dents, tears, and punctures in virtually all of the metal surfaces across the exterior of the Dome and water infiltration occurs in numerous locations. There is moisture damage in the interior of the Dome, which is degrading the building fabric. The stone on the Capitol exterior walls is generally sound, however significant localized issues exist. In some locations, the masonry is over 125 years old and periodic maintenance does not appear to have been performed. Repairs have been poorly executed or have failed. Many stones are damaged and loose. In 2013, a loose stone was discovered over the front steps. The main entrance into the Capitol was closed for several weeks until the stone could be secured with netting. Cracks, spalls and voids, along with blistering, delamination, erosion, and discoloration have been identified. There are open and deteriorated mortar joints in the masonry. Most of the severe masonry damage exists in locations where there has been continual water infiltration.